Poké and sushi restaurant in the heart of The Drive. 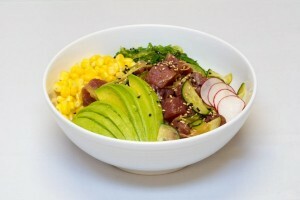 2 scoops of albacore tuna in ponzu sauce, with seaweed salad, sweet corn, scallion, cucumber & avocado. 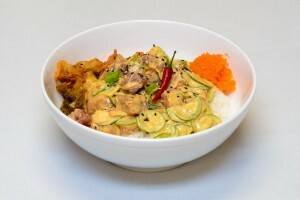 Salmon & tuna in spicy sauce with jalapenos, red onion, bird eye chili, kimchi, masago, scallion & sesame seed. 1 scoop of protein in house shoyu sauce, with crab salad, seaweed salad, edamame, sweet corn & scallions. 2 scoops of salmon in house shoyu sauce, with cucumber, crab salad, pineapple, sweet onion, masago & fried shallot. 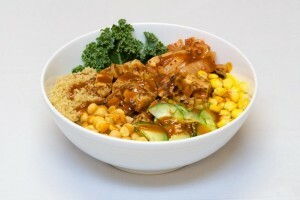 Organic tofu, chickpeas, quinoa, sliced cucumber, kimchi, sweet corn on a bed of kale salad with spicy Korean sauce. Fermented bean paste broth, seaweed & bits of tofu. 3 pieces tuna & 2 pieces salmon. 43 Pcs. In Total, Fresh Garden Roll, Yam Roll, Kampyo Roll, Avocado & Kappa Roll, Osingo Roll, Grasshopper Roll and 2 Pcs. Inari. 38 Pcs. 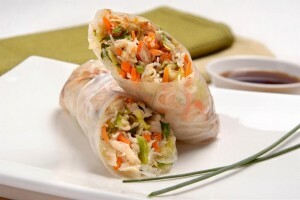 In Total, California Roll, Dinamite Roll, Yam Roll, Salmon Roll, Tuna Roll, 2 Pcs. Salmon, 2 Pcs. Tuna, 2 Pcs. Ebi, 2 PcS. Masago. 36 Pcs. In Total, Futo Maki, California Roll, Dynamite Roll, Kappa Roll, Osingo Roll, 2 Pcs. Tamago, 2 Pcs. Inari, 2 Pcs. Ebi. 47 Pcs. In Total, Spicy Tuna Roll, Alaska Roll, California Roll, Spicy Salmon Roll, Mantis Roll, Kappa Roll, Osingo Roll. Choice of 2 proteins and all the toppings on rice. Premium toppings are extra.